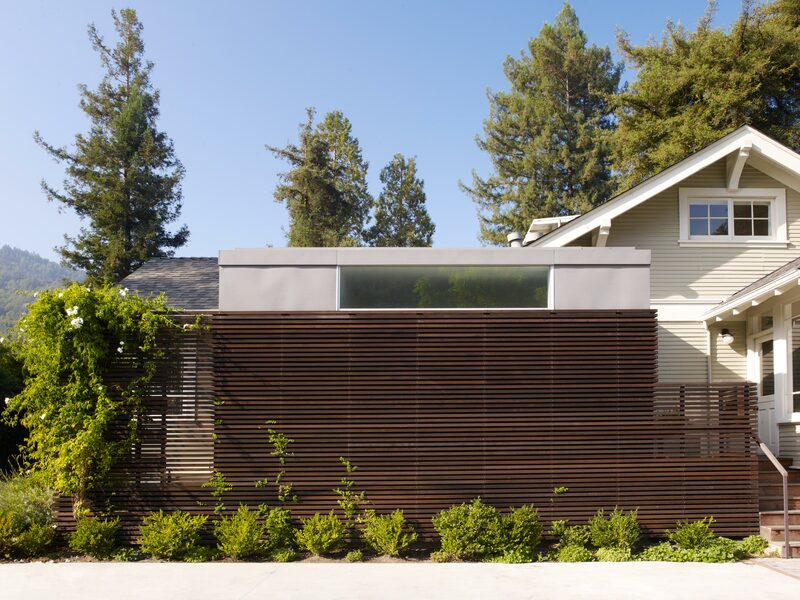 The new, modern addition to this 100-year old craftsman bungalow was designed in the manner of a garden pavilion. 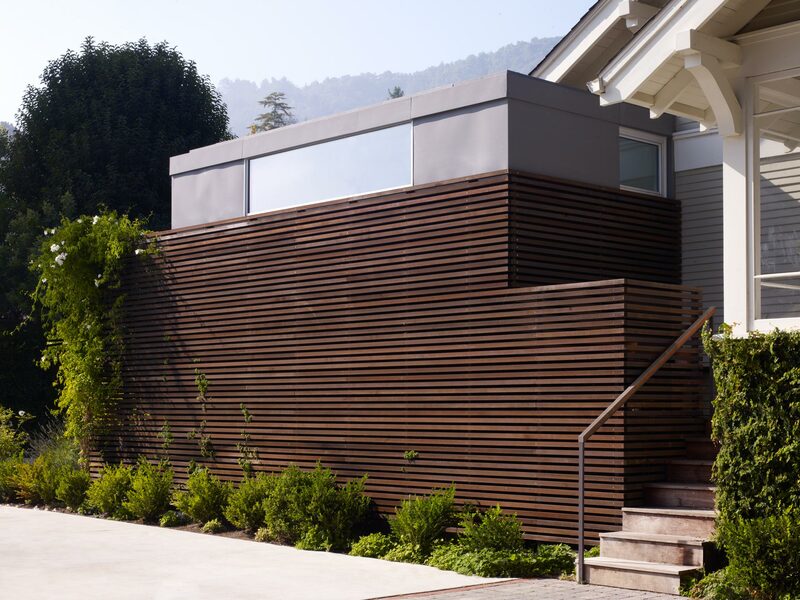 Keeping scale with the original home, the addition’s exterior is clad in a wood screen that carefully carries on the cadence of the existing siding, wrapping the pavilion and providing privacy for the gardens. Interior improvements in the bungalow included a new airy kitchen and renovated living room and library spaces. The master suite was expanded into the modern portion of the addition and features a new, spa-like master bathroom and an outdoor shower, which also services the swimming pool.